Thank you to everyone who has partaken in my site wide 20% off sale!! I know you will enjoy your purchases. If you haven't done so, you can still get in on the sale by using the code freedom20, at checkout, through the end of today. Just click HERE to get started. Also, you still have a chance to get in on the BIG giveaway!! It ends at the end of today as well, just click HERE to enter. 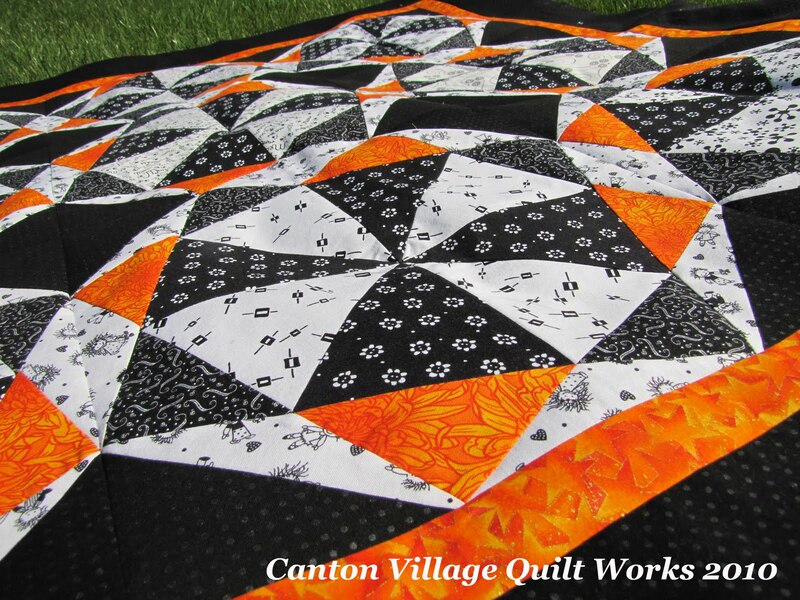 Okay, now down to the serious stuff, quilts!! For those of you who have been reading my blog a while, you know that I have an extensive stash of black and white fabrics. 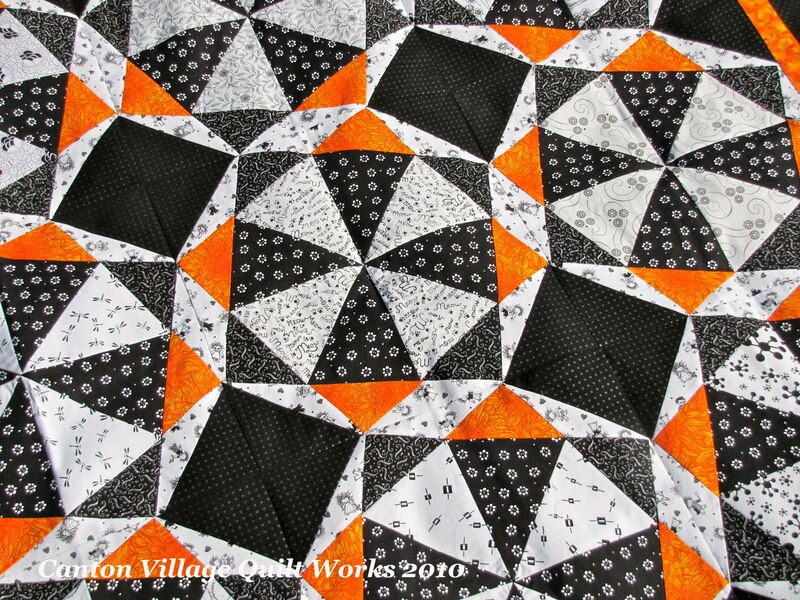 Because of that I set up the Black and White Quilt Challenge Project Blog. Go and check it out, I will wait right here. Okay, weren't all those quilts that everyone has posted pretty inspirational. I think that I even posted this next one there too. This quilt was all cut on my AccuQuilt Studio Cutter in a matter of about 30 minutes. Really fast, almost unbelievable. But I just love the punch of orange! The pattern is called Free Wheeling and can be found here. It really is a take on the Kaleidoscope block. But with the addition of the orange and white triangles it makes it look like it is spinning! You can really see the motion in this photo. 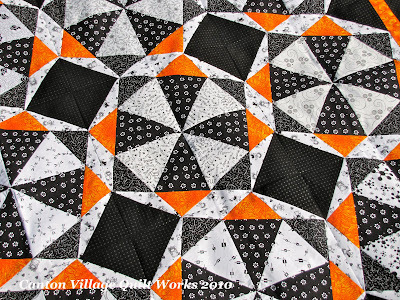 Now once again, I really need to get this one quilted!! I will most likely sneak it onto my long arm in between customers. 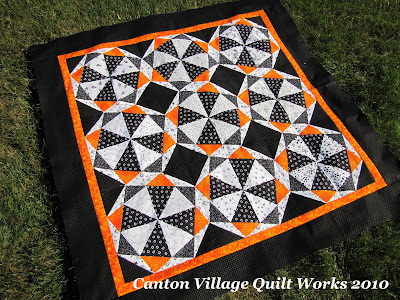 I hope this post has inspired you to make a black and white quilt with a little bit of color, if not I have a few more volumes of this one coming up. So stay tuned! Go enter the giveaway and shop the sale!! Happy 4th of July!